Halloween is just one time of year where we all go sugar crazy. Cookies, cupcakes and of course, candy. I happen to have quite a sweet tooth and love all things sweet, but I really try my best to limit the kids. All that sugar is just not good for them. It’s important for me to still have some fun and festive treats for them, though. So, over the weekend while we were doing our weekly grocery shopping at WalMart we had an idea. 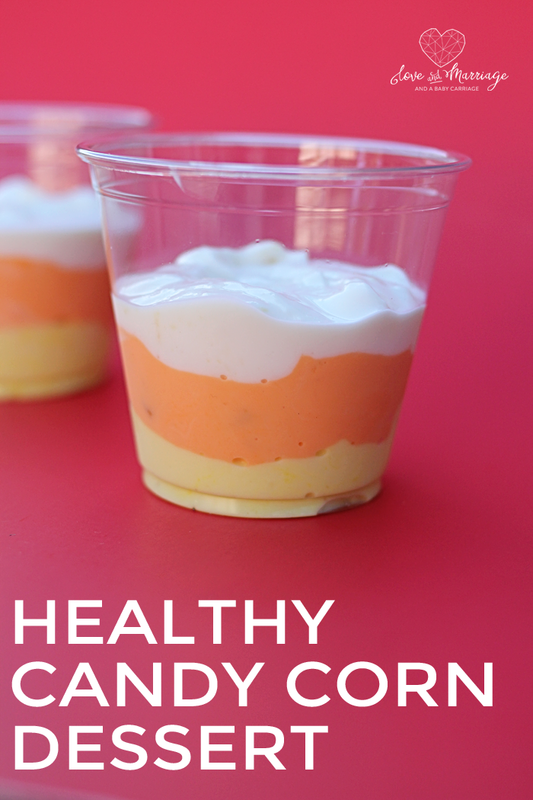 A yummy yogurt treat that looked just like candy corn sounded like a great idea! 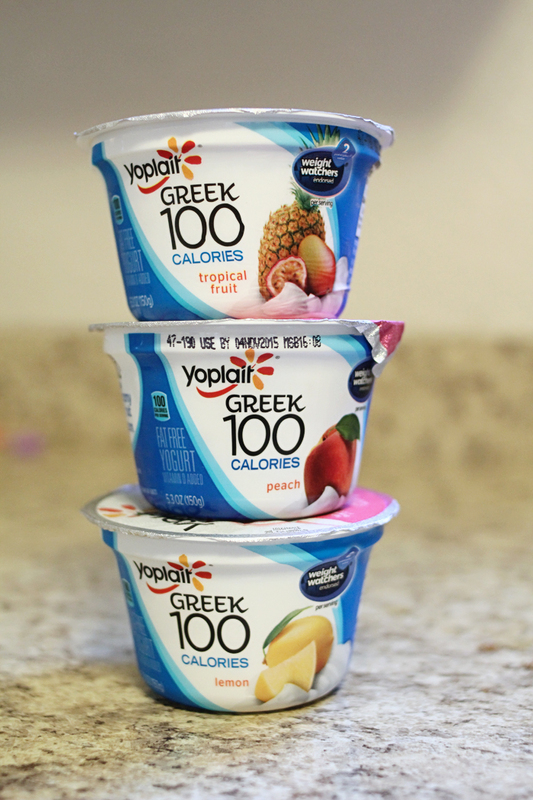 We selected three tropical flavors of Yoplait® Greek 100 that we thought would taste great together: peach, lemon and tropical fruit. Even though they are flavored and have fruit in them, they are still white so we needed to add a little color to them. I used a couple drops of neon orange in one, original yellow in another, and left the last one white. I picked up some clear plastic cups that were the perfect size for this little treat. You definitely want to be able to see the layers in this. 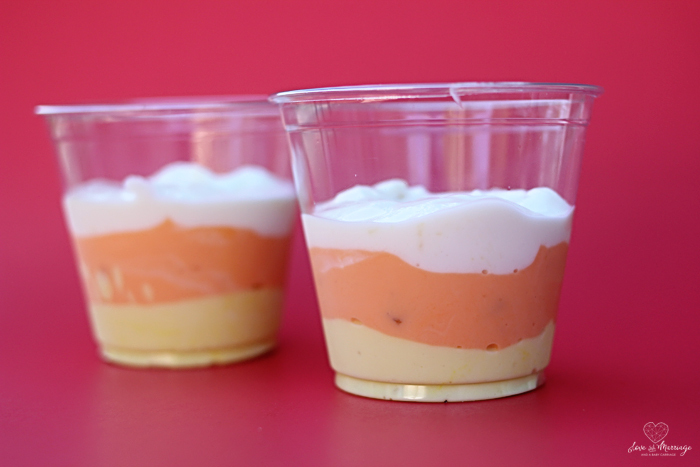 I layered a scoop of each yogurt; orange, then yellow, then white. It turned out perfect! Of course the kids adored it and we were right, the flavors went perfectly together. We thought this would also make a really fun Halloween breakfast idea! 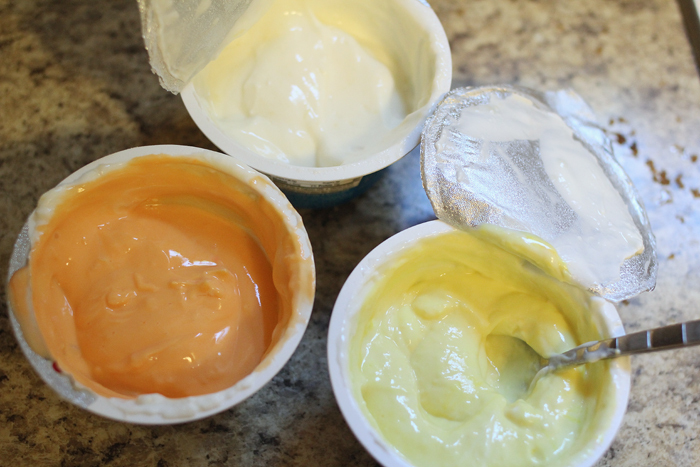 Check out our homemade creamsicles using another one of our favorite Yoplait® yogurts!